يضمن فندق Templenoe Cottages الذي رمم في 2013 لزائريه قضاء وقت ممتع في هذه المدينة الخلابة سواء جاؤوا في رحلة عمل أو سياحة. يقع الفندق على بعد 2Km من مركز المدينة، ويؤمن الوصول إلى أهم مراكز المدينة. كما يمكن الوصول بسهولة إلى عدة معالم سياحية قريبة. يقدم Templenoe Cottages خدمات لا غبار عليها وكل أشكال اللياقة وحسن الضيافة اللازمة لإسعاد ضيوفه. يمكن للنزلاء الاستمتاع بالميزات التالية: محطة شحن السيارات الكهربائية, متجر, معبد, مجهز لذوي الإحتياجات الخاصة, مرافق مخصصة لذوي الاحتياجات الخاصة أثناء إقامتهم في هذا المكان الرائع. استمتع بوسائل الراحة الراقية في الغرف أثناء إقامتك هنا. بعض الغرف تتضمن تلفزيون بشاشة مسطحة, اتصال لاسلكي بالإنترنت, اتصال لاسلكي بشبكة الإنترنت (مجاني), غرف لغير المدخنين, تدفئة لمساعدتك على استعادة طاقتك بعد يوم طويل. يقدم الفندق مجموعة واسعة من وسائل الراحة المتنوعة، كمثل: مسارات المشي, مركز للياقة البدنية, مسار جولف - ضمن 3 كم, صيد السمك, تدليك. يشكل Templenoe Cottages بخدماته الراقية وموقعه الممتاز، قاعدة مثالية للاستمتاع بإقامتك في المدينة. يرجى العلم أنه يجب تقديم بطاقة ائتمانية سارية عند تسجيل الوصول وذلك لإجراء حجز مبلغ منها. لا يُسمَح بانضمام أشخاص آخرين للنزلاء أو بقدوم زوار بعد الساعة 10:00 مساءً. يرجى العلم أن أكواخ Templenoe أكواخ تحظر التدخين. سيؤدي التدخين في الداخل إلى فرض رسوم تنظيف على النزيل الرئيسي وضياع تكاليف الدخل. يتحمل النزلاء جميع النفقات والأضرار والالتزامات الناجمة. 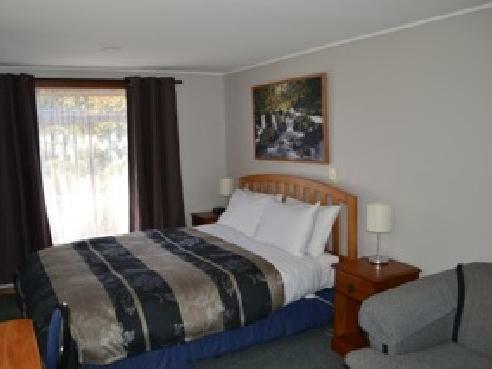 Perfect location for a short walk into Te Anau town centre. Really good location to travel into Milford Sound for an early boat trip. We were staying in the cottage equipped for disabled people. The main problem was the wifi access which was difficult and this has been a problem for a while I believe. Also the lack of comfortable chairs and lastly the fact it was on the main road. Only a problem in the early mornings though. Everything was wonderful. The owners were so nice and the cottage had everything you could need. Wifi was hit or miss but I was there for the hiking, not the Internet. Would definitely recommend! It was great for three travelers. Location. Nice welcome from host. Great stay there. We weren't there much but we had a nice, quiet place to sleep at night. We had a great welcome by the host. The room had all the basic things necessary for a self-contained cottage. We loved the shower curtain! The large bed had a heating blanket and there was a space heater for the room to help us get rid of the chill. We recommend these cottages to other travelers. The owners, the space, and cleanliness! The owners were super friendly and even gave us fresh milk for our morning tea/coffee! They recommended where to eat, what to do and highlights nearby! The cottage was cute, had wifi, and was better than expected. The best thing was that it very clean and no problems with bugs or anything lacking! I would definitely recommend this as a stopping point on the way to Milford Sound! Got a very warm welcome from the owner ( Dave ) . The Cottage with nice garden is very lovely. The location is great 2-3 mins drive ( 10 mins walk ) to the city . Bedding is comfortable nice & clean . would recommend to anyone planning trip to Milford Sound that this is a great stop for your journey. 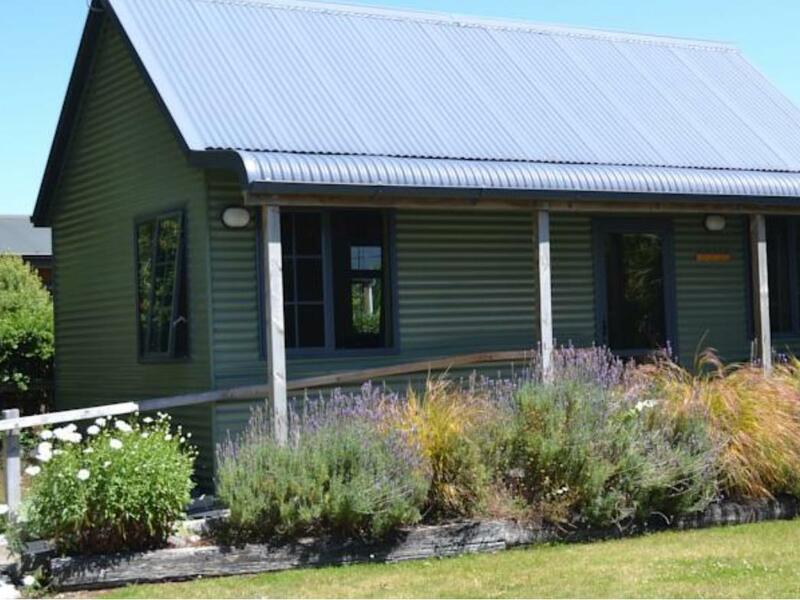 I loved Te Anau as a whole and staying at Templenoe Cottages contributed to this. Everything was great about the room except for the bed as it sunk in the middle. This place is located close to town and is only a 3 minute drive away from the shops and the lake. Te Anau is a quiet town and it was really peaceful and relaxing to sit out on our balcony and have a coffee in the morning and a glass of wine in the evening. Would recommend this place to friends but would advise them that the bed sank. Relaxed environment-no neighbors. 500 metre walk into town. Scenic location with mountains across the lake. I would rate this as one of the top ten places I have stayed at in the last twenty years. Highly recommend this location for other visitors. It was close to several major tourist destinations so day travel was easy. Excellent dining venues in town catering for all tastes. 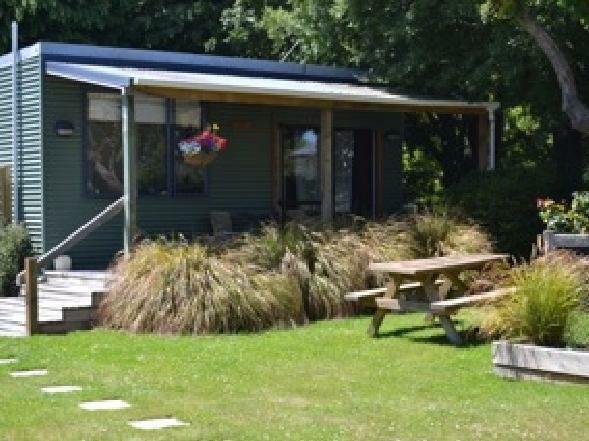 I stayed in many hotels during my trip to New Zealand, and Templenoe Cottages was without a doubt one of my favourites. It's the type of place that reminds you that it isn't about the flashy flair of boutique/top class hotels, but rather personal touches and a homey feel that can make your stay wonderful. The rooms were prepared in an extremely thoughtful manner, it seemed like the owner Dave had thought of everything you could possibly need. After all our long drives and tiring walks around the area, the room was a wonderfully comforting cave to dive back into. Thinking of going back one day, and staying here again! very good, we used it as a rest point for a trip to Milford Sound. We found out that the bush walks in the area are exceptional. We were glad that Templenoe recommended a great tour of Milford Sound (Fiordland Tours), which we booked in advance. The tour bus is run by and disembarks from his next door neighbor. Though, did not help us to book the Tour, we had no trouble buying tickets ourselves. Bathrooms left a little to be desired since the entire floor was shared with the shower. So, after showering, you couldn't be in there wearing socks or shoes. But overall, it was a cute, quiet little cottage that served as a fine stop along our road trip through the south Island.